The printing process is a widely varied one that can involve many choices and options to achieve the desired product at the most affordable price. Seldom is the process straight-forward, as a typical ‘print’ can involve several key decisions with which the client may not be familiar. I have the experience of facilitating many projects at various print houses throughout the country. From working bindery, to pre-press and art direction, this experience has proved invaluable to my career as a designer. Currently, I work with a wide number of printers in the industry, specializing in both digital and offset printing techniques. By taking charge of your print project, I can save you time, money and stress, with the added guarantee that your product will be delivered on time and exactly to your specifications. “Printing Green” protects the environment by conserving energy and natural resources through the use of recycled papers and soy-based inks. By doing so you also send a powerful message to your audience that you care about what’s to come. A common misconception is that eco-friendly printing means lower quality. This is no longer the case as the difference is indistinguishable and in some cases the green printing yields a superior product. Please consider this as a viable option for your next project. Contact me today for rates on ‘going green’. The earth will thank you. Please contact me to receive a free digital printing packet. 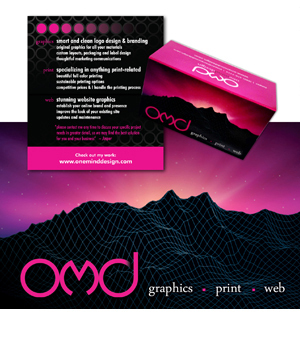 You will receive more information on my digital printing service and sample paper stocks.